1 What Do You Do When Your Boyfriend Never Answers His Phone? 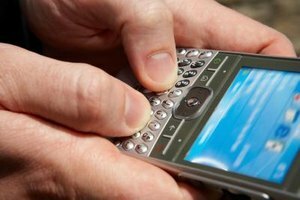 Approximately 68 percent of mobile phone users receive unwanted text messages, reports to Pew Internet Project in research published in January 2013. If you'd prefer not to be included in that percentage, it's important to adopt some strategies that help curtail annoying messages. You don't have to be rude, but you do want to get your point across. 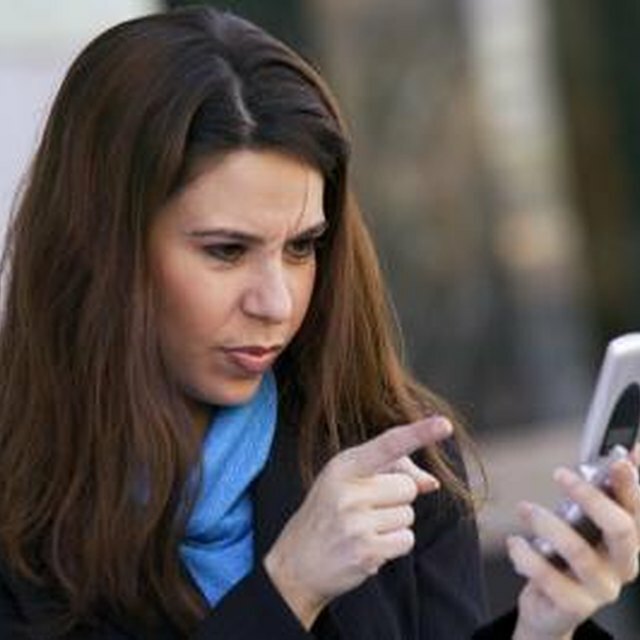 Tell the person who's blasting your phone that you're having difficulty concentrating when you are constantly being distracted by your phone. Let her know that you'd prefer to stick to conversations in person. Don't confuse a conversation like this with rudeness. Setting boundaries on another person's behavior is a skill that is essential to maintaining good relationships and a healthy life, says psychologist Dana Gionta in an interview published on PsychCentral.com. Although a conversation like this takes a degree of bravery, this skill will come in handy throughout life. Send a message of your own by simply ignoring the person's texts. Eventually, he should get the message. If he confronts you later about why you didn't respond to his texts, tell him that you were too busy, that you didn't feel like texting or any other reason you can find for not wanting to engage in a text conversation. Unless he's particularly dense, he'll stop texting after the tenth time you've ignored his persistent "What's up?" An effective way to get someone to stop texting you is to send the person an error message that resembles the automated messages that cell providers send when someone's account is experiencing a problem. The next time you get a deluge of unwanted messages, try sending something like this: "SMS: SERVICE ERROR 501: DESTINATION NOT AUTHORIZED TO RECEIVE." The relentless texter will likely assume there's a glitch in your service and give up after trying a few times. Block the texter's number. Most cellular providers give you the option to block phone numbers. Call customer service for your provider and ask someone in that department how to proceed. Blocking is offered specifically for the sort of situation you are dealing with. After you have blocked the person's number, if she continues to harass you by using another number to text or in other ways, seek a restraining order. A no contact restraining order will prevent her from texting you, says El Paso attorney Patterson Weaver.